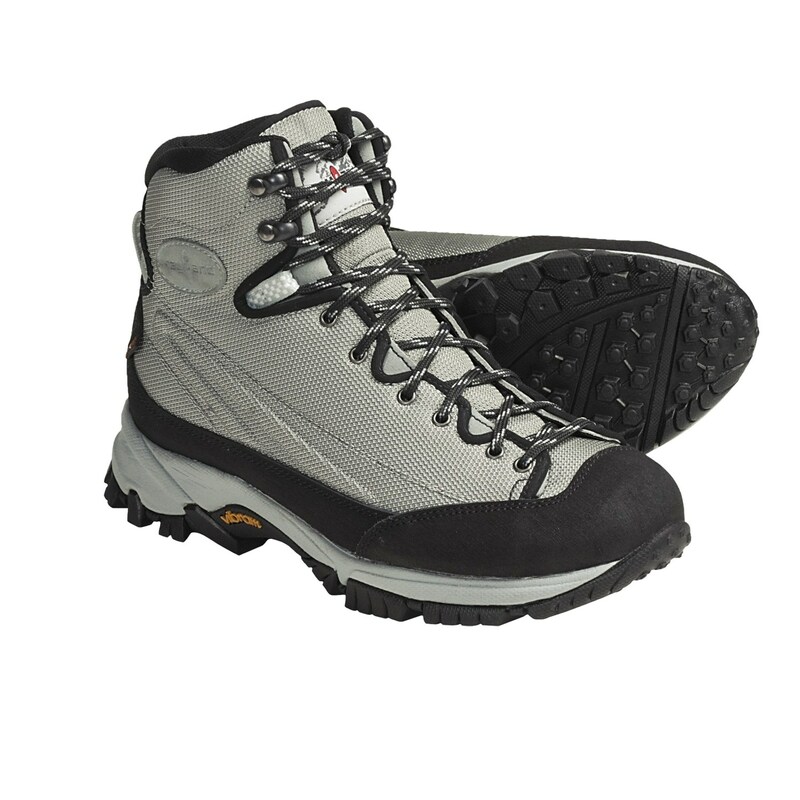 Kayland Mountaineering Vertigo Light Grey Boots have waterproof breathable event lining which allows heat to escape away from your feet without letting wetness in so your feet stay cool and dry. Cocona Natural Technology ( activated carbon coconut shells) wicks moisture from your skin and encourages evaporative cooling. The Active Last's internal shape replicates the curves of a human foot for a smooth, responsive fit. Vibram mars outsole has increased smooth-surface traction and a trim, engraved shank for better grip on uneven terrain. Lightweight insole and V-K midsole provide ample cushioning specific to longer-duration light-hiking. Medium- volume fit includes a roomie toebox and a heel cup to keep your foot from slipping around while you trek.